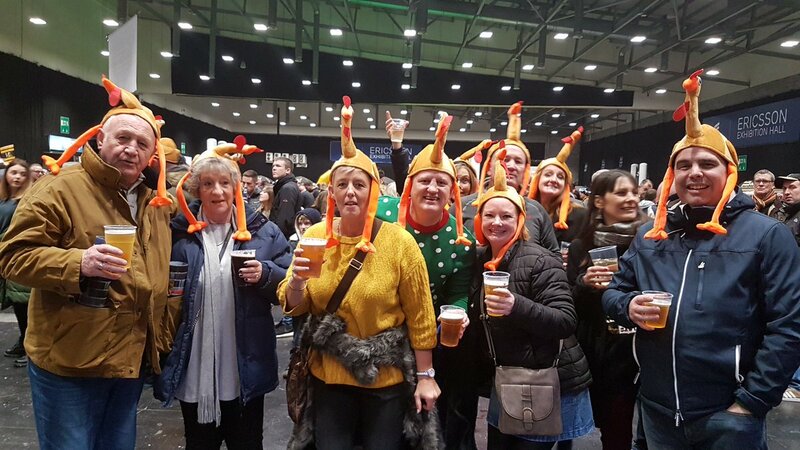 The Wasps supporters go wild as Danny Cipriani successfully kicks the conversion. A bit of individual brilliance by Christian Wade leads to a try for Wasps. This is dangerous for the defence as Christian Wade bursts through to advance the Wasps attack. 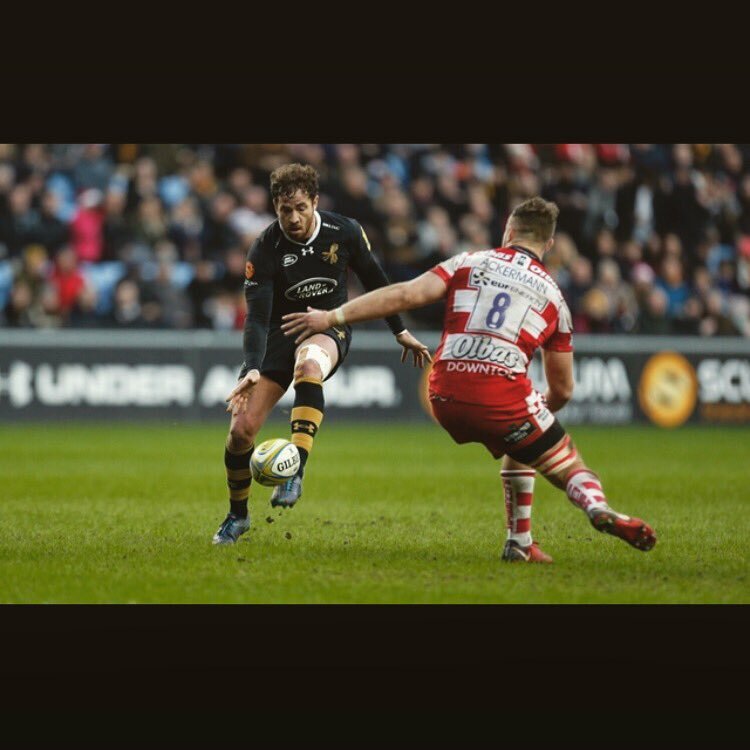 Dan Robson intercepts the pass to race ahead and score the try for Wasps. 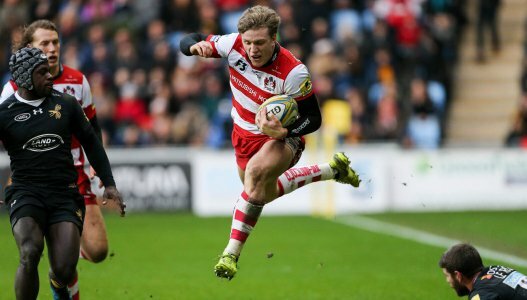 Billy Twelvetrees adds the two points for Gloucester. Ben Vellacott sets up the try. Gloucester are only a few metres out, surely they must score! And they do with Freddie Clarke touching down. Gloucester sub Owen Williams comes onto the field. Willie Le Roux leaves the field. Danny Cipriani does the business as his conversion attempt goes over. Willie Le Roux sets up the try. Slick passing by Wasps leads to a try for Guy Thompson. Mark Atkinson has made 10 good tackles so far this game. Simon McIntyre has made 10 good tackles so far this game. Gloucester sub Richard Hibbard comes onto the field. James Hanson departs for Gloucester. Thomas Young has made 10 good tackles so far this game. Wasps decide to make a substitution, with Ashley Johnson getting some game time. 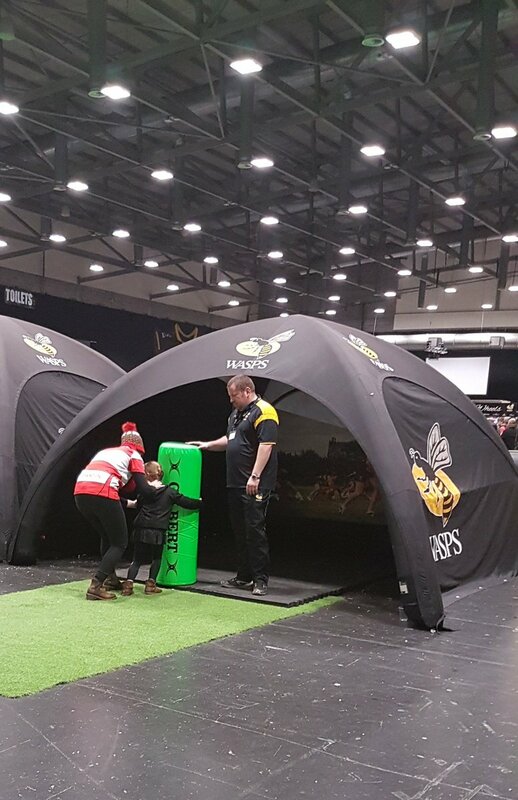 Wasps decide to make a substitution, with Tom Cruse being replaced. Wasps make a substitution with Dan Robson coming on. Wasps make a substitution with Joe Simpson coming off. 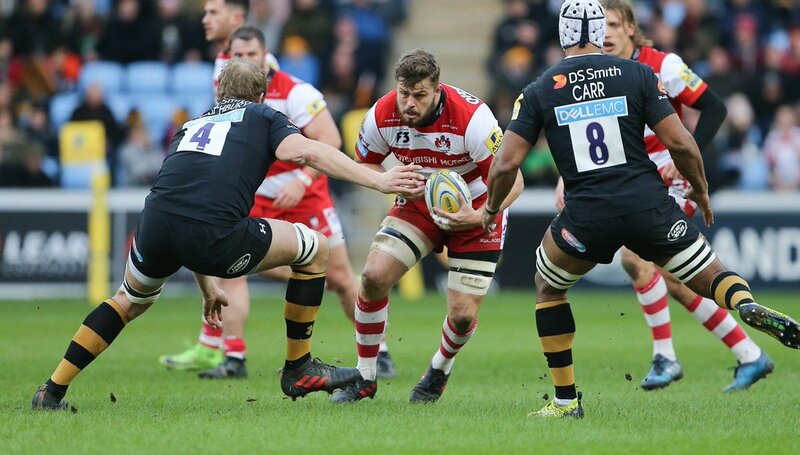 Incisive passing by Wasps is finished off by Thomas Young, as he goes over for the try. Willie Le Roux makes the break as the defence re-enacts the parting of the red sea. Jack Willis has made 10 good tackles so far this game. 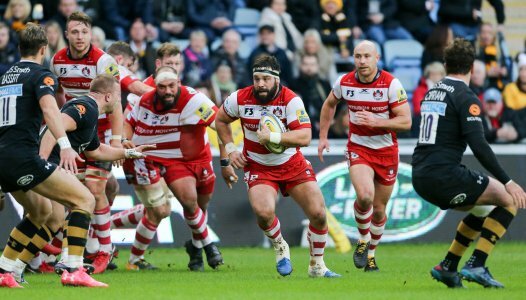 Fabulous play by Gloucester has led to Tom Marshall being able to wriggle through a gap. Billy Twelvetrees curls the ball too far, missing the posts to the left. Spellbinding play by Billy Burns is finished off with a try. 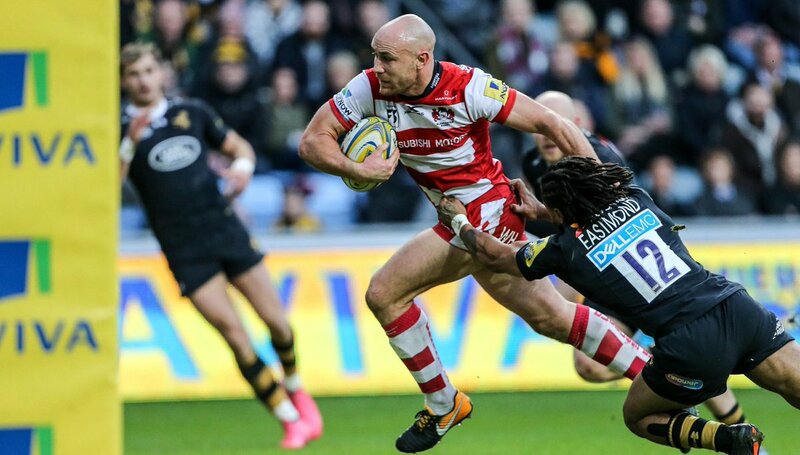 Silky skills by Gloucester ends with a try for Tom Marshall. Marty Moore has made 10 good tackles so far this game. Willie Le Roux played a key part in that try. A wonderful passing move by Wasps is finished off by Christian Wade. Trouble here as Christian Wade breaches the defence. 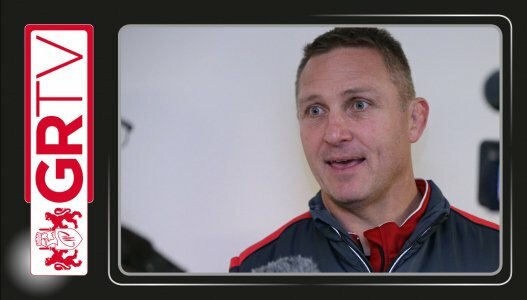 Henry Trinder comes on for Gloucester. That's a great try assist by Ollie Thorley. This is dangerous for the defence as Ollie Thorley bursts through to advance the Gloucester attack. A gap opened in the defence and Christian Wade took full advantage. What a tackle there by Ollie Thorley as he saves a certain try!. A stunning solo try from Willi Heinz. Joe Simpson sets up the try. 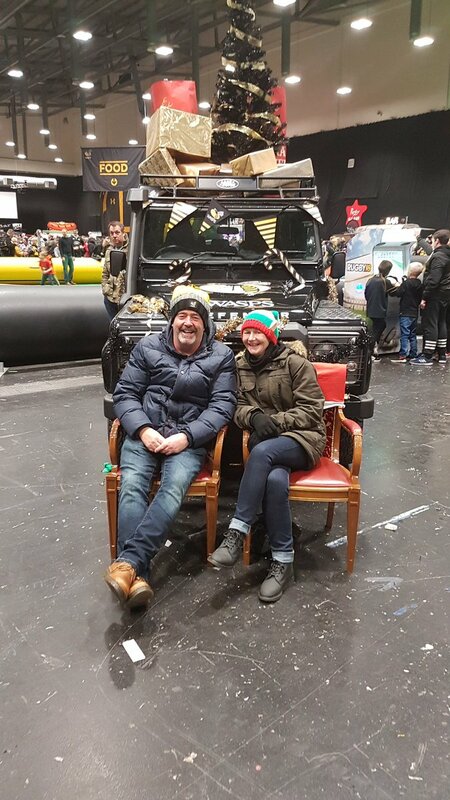 Great hands by Wasps leads to a try for Willie Le Roux. The defensive line has been broken as Willie Le Roux goes through the gap. 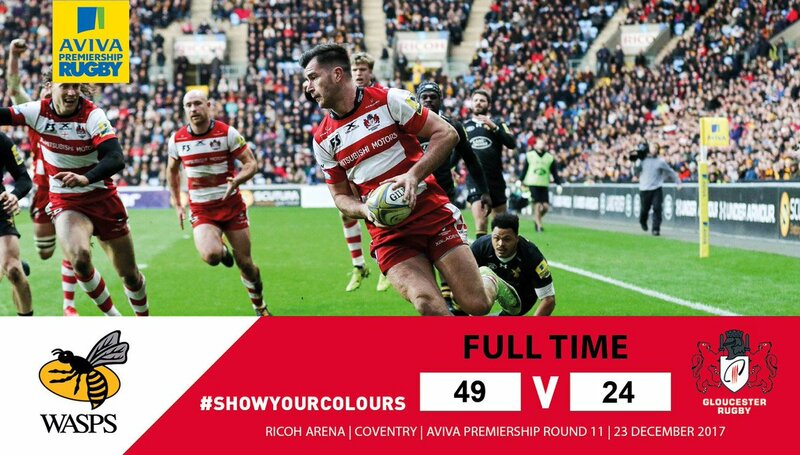 It's been an awful afternoon of rugby for Official Northampton Saints. TRY! Freddie Clarke barges his way over for the bonus point try.